Join CREDC and a dynamic panel of local and regional experts as they dive into the importance of global mindset as a driver for economic growth. CREDC President Jennifer Baker, who brings a unique international lens to the conversation, will moderate a panel to explore why it’s important for Clark County to continue building global awareness. What makes our region standout on the global stage? How can a long-game lens on foreign direct investment drive growth across our region’s key industry sectors—Metals & Machinery, Software, Computers & Electronics, Clean Tech and Life Sciences? From companies with strong history in Clark County like Columbia Machine, SEH America, United Grain Corporation, and nLIGHT to newcomers like RealWear and AbSci, we have a strong base of global players who make it evident that our region is a compelling place to headquarter thriving business operations. Hear why, in order to Expand our Existing Base, we must invest in growing our global footprint and invite companies to start their journey in Clark County. The Columbia River Economic Development Council and Workplace Resource of Oregon invite you to the next installment of GROW Clark County, Human Factors in Workplace Design. When we feel better, we work better. That is one of the many reasons it's critical to consider human factors in the workplace. Join us in a conversation with Jeevan Peter (JP), Herman Miller's Human Factors & Ergonomics Specialists as he dives into the importance of providing a workplace that has the right tools and environment so people can perform collectively and individually, a workplace where your people can thrive. Since its inception in 2015, Grow Clark County has showcased the broad range of businesses in the region, spotlighted the people behind them who are driving innovation and empowering connections with entrepreneurs pushing the local economy forward. Grow Clark County aims to help build connections and open opportunities for the business community from groundbreaking startups to thriving businesses looking to interact with other businesses and find resources that can help them achieve short- and long-term business goals. Thursday, March 7th, 2019 4:30-6:30 p.m. Opening Remarks | 5:20 p.m. Closing Remarks | 6:25 p.m.
CREDC invites you to attend its Annual Investor Event hosted by ilani from 5-7 pm on Wednesday, January 23. Open only to investors, partners, and their guests, this exclusive event is a great opportunity to network with other business and community leaders who play a key role in advancing the economic vitality of Clark County. Join us as we thank our outgoing board members, elect the incoming 2019 CREDC Board of Directors, and share more about how Our Journey Continues in the year ahead! Appetizers and hosted bar will be provided. Investors if you haven’t received your code to register please email Samantha Codi Walker at scodi@credc.org or 360-567-3175. The Columbia River Economic Development Council and WSU Vancouver's Business Growth Mentor and Analysis Program invite you to celebrate Global Entrepreneurship Week with the next installment of GROW Clark County. This installment will focus on "Reimagining the Future of Tech" with a dynamic panel of local innovators who will discuss the growth and impact of machine learning, artificial intelligence and virtual reality. Join us to hear from regional tech companies exploring the edge of technology and disrupting their industries, and find out what they expect the future holds for their product ecosystems and the future of the region. WSU Vancouver's Business Growth Mentor and Analysis Program helps local small businesses and entrepreneurs succeed while providing educational opportunities for Carson College Business students. Business Growth MAP is cultivating the next generation of business leaders-placing experienced graduates into the local economy. Thursday, November 15th, 2018 4:30-6:30 p.m.
Panel & Q&A | 5:30 p.m.
Join us at our Fall Luncheon presented by Port of Vancouver on Tuesday, October 16th at Warehouse 23 as we highlight one of the strategic goals in our Comprehensive Economic Development Plan - Create Place. We will detail why Creating Place is a strategic priority for CREDC and share an overview of the initiatives we are driving in collaboration with partners across the region. A dynamic panel made of local, state and regional voices will lead a conversation on the important role quality of place plays in differentiating our region as we compete to recruit and grow business and talent on the national and global stage. Join us for CREDC's 28th Annual Golf Classic on Monday, August 27, 2018, presented by Vesta Hospitality! All proceeds from the Golf Classic help to fund CREDC's purpose of developing a strong and innovative business environment in Clark County, WA. Included in this year's golf tournament will be lunch, the 2018 golf awards banquet (including dinner and team/player awards), and of course, drawings for outstanding prizes! Sponsored refreshments throughout the day will also be provided. Samantha Codi Walker at scodi@credc.org or 360-567-3175. The Columbia River Economic Development Council invites you to attend the next installment of GROW Clark County that will feature a dynamic panel of women founders from across the region. Join four trailblazing entrepreneurs who will talk about their journey disrupting the business landscape, the challenges they faced and what it took to innovate in a fast-changing environment. Hear stories about their career experiences, motivation, entrepreneurial spirit, creativity and innovation as well as their advice for women looking to start their own business today. Since its inception in 2015, GROW Clark County has been a forum to showcase the broad range of businesses in the region, spotlight the people behind them who are driving innovation and empower connections with entrepreneurs pushing the local economy forward. GROW Clark County aims to help build connections and open opportunities for the business community – from groundbreaking startups to thriving business looking to interact with other businesses and find resources that can help them achieve short and long-term business goals. Panel & Q&A 5:30 p.m.
Join us on March 15th for our first GROW Clark County of 2018 - featuring one of Clark County’s newest tech companies, RealWear. RealWear is an AR, VR, and wearable product computing company focusing on dynamic voice recognition technology that completely frees the use of the wearer’s hands. This interactive event will feature opportunities for attendees to experience the HMT-1, a powerful, fully-integrated, rugged head-mounted Android tablet that replaces the need for touch screens with a micro-display providing the appearance of a 7-inch screen. In addition to product demos, we will hear from company co-founders on the evolution of HMT-1 and RealWear’s response to a growing market demand for fully-connected and hands free devices integrating both virtual and augmented reality. Since 2015 GROW Clark County has been a forum for connecting and empowering Clark County’s entrepreneurship and startup communities! Committed to bringing together and connecting people, GROW Clark County aims to strengthen and grow our innovative knowledge economy and to provide opportunities for our most exciting and groundbreaking startups to pitch their products, business model and strategy, and interact with businesses and resources that can help their business grow and flourish; all over a bottle of beer or a glass of wine. Join us from 5:00-7:00 p.m. on January 24th at Windy Hills Winery to enjoy an evening celebrating the support of our investors, partners, and friends for the 2017 year. Open only to our investors, partners, and their guests, this exclusive event is a great opportunity to network with other key players involved in the organization, thank our outgoing board members, elect the incoming 2018 CREDC Board of Directors, and hear more about the organization's initiatives for the year ahead! Appetizers and hosted bar will be provided. CREDC investors in the Chairman's Circle, CEO Council, and President's Circle levels receive two complimentary tickets to attend. All other investors receive one complimentary ticket. Additional attendees, Friends of CREDC, Business Support Partners, and prospective investors who are guests of current investors are welcome to register at the normal ticket price. To verify your level of investment, please see here. In order to register and/or to redeem your complimentary ticket(s), please enter your registration code on the ticket page. If you have not received your code, please contact Samantha Codi Walker at scodi@credc.org or 360-567-3175. Policy and budget decisions at the state and local level can directly impact your ability to conduct business in our community. Be a part of the discussion as we forecast hot button issues at our 2018 Legislative Outlook Breakfast presented by IBEW Local 48 on December 8th, 2017 from 7:30-9:00 a.m. at Warehouse ’23. The GVCC, Identity Clark County, and the Columbia River Economic Development Council will present our Shared Business Priorities for 2018 with attendees and our legislators at this annual breakfast event. These directly impact our work and advocacy on your behalf in 2018, and your presence at this event showcases your commitment to moving business forward in Southwest Washington. Join us in partnership with WSU Vancouver Business Growth MAP Alliance for our final Grow Clark County event of the year with a celebration of Global Entrepreneurship Week 2017! We are thrilled to welcome Michael Barratt, NASA Astronaut and Camas High School graduate back to Clark County! Dr. Mike Barratt will discuss how his educational experience, as a Clark County native, set in motion a trajectory to become one of NASA’s preeminent medical doctors, leading to a distinguished career as Medical Operations Lead on the International Space Station, editor of “Principles of Clinical Medicine for Space Flight”, and ongoing work opening new pathways enabling the biotech and pharmaceutical community to test efficacy, impact, and the effects of attacking human-based diseases on a platform never before thought possible, space. Please join us Thursday, October 19th as we begin the public rollout of the new 2017 Clark County Comprehensive Development Plan. Hear from CREDC and a panel of industry experts as we outline the plan, which establishes a 20-year vision with a five-year implementation plan to achieve countywide goals and objectives. Over two hundred local private and public sector partners were engaged to develop this plan, which is intended to focus the collective energies of all economic development partners in the area around a shared vision and goals. Join us for CREDC's 27th Annual Golf Classic on Monday, August 14th at Royal Oaks Country Club presented by Vesta Hospitality. Included in this year's golf tournament will be lunch, the 2017 golf awards banquet (including dinner and team/player awards), and of course, drawings for outstanding prizes! One beverage ticket per player and other refreshments sponsored throughout the course will also be provided. We have officially sold out! Please email us to be put on the waiting list. For questions regarding logistics or sponsorship opportunities, please contact Samantha Codi Walker at scodi@credc.org or 360-567-3175. Join us in an open and engaging conversation around one of the country's most important domestic issues: how do we address the critical importance of empowering women who want to study, work in, and lead our most novel businesses in science and technology? Nationally, the proportion of women in computer science and tech fields has actually decreased from 37% in the 1980s to less than 18% today, and just 20% of Fortune 100 CIO positions were held by women in 2016. As we work to grow a competitive and diverse economy that positively impacts our entire community, how do we address this pressing issue locally? Our evenings panel will share how their own experiences have shaped their careers and involvement as business and tech leaders in our community as we explore such topics as creating early entry points for women into computer science, building and strengthening networks and mentorship along career paths, supporting a more inclusive tech culture, and spurring widespread corporate and community involvement and commitment. Enjoy an evening of high-energy networking with an adult beverage and delicious appetizers. Join us on May 31st for our first Grow Clark County event of the year at Vancouver's newest coworking space, CoLab! Be one of the first to receive a sneak peak of this brand new space (opening to the public in June) and learn more about the growing demand for coworking space and advantages of workplace collaboration from our panel discussion. Enjoy an evening of high-energy networking with an adult beverage and delicious appetizers and help us welcome CoLab to downtown Vancouver! Space is limited so be sure to reserve your spot today. CoLab's foundation is built on the value and importance of business networking and community. This means that our focus is on creating and sustaining a community of professional teams and individuals working and growing their business in tandem. 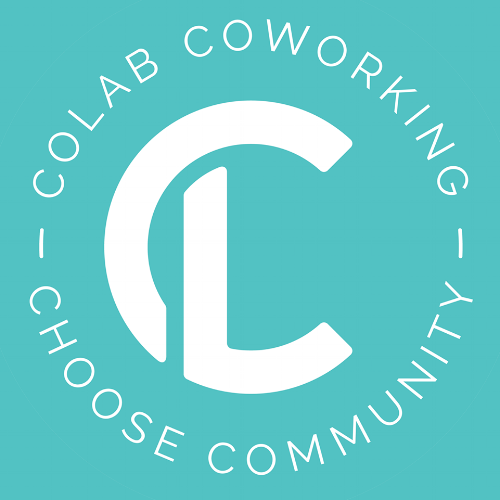 CoLab has a number of membership options including private offices for a whole team, glass pods for a hybrid office experience, dedicated desks for members looking for a cost-effective daily office solution, and open desks for those who need a more flexible membership. Please join us Tuesday, March 21st as we hear from Chancellor Mel Netzhammer from WSU Vancouver. How does a university contribute to economic growth? Find out from WSU Vancouver Chancellor Mel Netzhammer. He and his team will highlight WSU Vancouvers five main goals for the next five years and demonstrate how the universitys success is your success, too. Mel Netzhammer has served as chancellor of Washington State University Vancouver since July 2012. As the second chancellor in WSU Vancouvers history, he works to advance the universitys founding goals, including its mission to provide access to baccalaureate-level education and a higher baccalaureate-degree attainment rate in Southwest Washington. Join us from 5:00-7:00 p.m. on January 11th at Cinetopia (Mill Plain) to enjoy a high-class evening celebrating the 35th year of the CREDC! Open only to our investors, partners, and their guests, this exclusive event is a great opportunity to network with other key players involved in the organization, thank our outgoing board members, elect the incoming 2017 CREDC Board of Directors, and hear more about the organization's initiatives for the year ahead! Appetizers and hosted bar will be provided. Attendees are also welcome to stay for a private movie screening following the conclusion of the program. CREDC investors in the Chairman's Circle, CEO Council, and President's Circle levels receive two complimentary tickets to attend. All other investors receive one complimentary ticket. Additional attendees, Friends of CREDC, Business Support Partners, and prospective investors who are guests of current investors are welcome to register at the normal ticket price. To verify your level of investment, please see here: http://bit.ly/2h9CjTk. James Bond inspired attire encouraged. The 2017 Economic Forecast Breakfast presented by Riverview Community Bank, and The Columbian, with support from The Management Group, BergerABAM, and PeaceHealth. Doors open at 6:30 a.m., program will begin at 7 a.m.
Stephen Nigro, 3D Printing Business HP Inc.
GROW Clark County: SOLD OUT! Join us in partnership with WSU Vancouver Business Growth MAP Alliance for our final Grow Clark County event of the year with a celebration of Global Entrepreneurship Week 2016! Join Clark County business and community leaders for an interactive breakfast with our esteemed community panelists on the topics of space, funding and mentorship. We have officially sold out! Please join us Monday, September 19th as we welcome Dr. Gary Gilliland, President and Director of the Fred Hutchinson Cancer Research Center! An independent, nonprofit research institute based in Seattle, Fred Hutch houses the nation's first and largest cancer prevention research program, as well as the clinical coordinating center of the Women's Health Initiative and the international headquarters of the HIV Vaccine Trials Network. The Fred Hutchinson Cancer Research Center is home to three Nobel laureates, interdisciplinary teams of world-renowned scientists seek new and innovative ways to prevent, diagnose and treat cancer, HIV/AIDS and other life-threatening diseases. Fred Hutch's pioneering work in bone marrow transplantation led to the development of immunotherapy, which harnesses the power of the immune system to treat cancer with minimal side effects. Join us for CREDC's 26th Annual Golf Classic on Friday, July 22nd at Camas Meadows Golf Course presented by Robertson & Olson Construction. Included in this year's golf tournament will be lunch (meal voucher for sandwich or hot dog redeemable throughout duration of tournament at clubhouse), the 2016 golf awards banquet (including dinner and team/player awards), and of course, drawings for outstanding prizes! Two beverage tickets per player and other refreshments sponsored throughout the course will also be provided. For questions regarding logistics or the full list of golf sponsorship opportunities, please contact Samantha Codi at scodi@credc.org or 360-567-3175. NOTE: Your ticket purchase confirmation will arrive by email from BROWN PAPER TICKETS. Enjoy an evening of high energy networking over beverages and appetizers as we welcome one of downtown Vancouver's preeminent tech companies into their new headquarters at The Hudson, one of the community's newest creative office spaces! Woobox provides millions of brands with an affordable suite of viral applications to grow and engage their fan base. Their apps include custom page tabs, coupons, contests, sweepstakes, and more that also work on mobile and embedded on customer websites. Woobox innovates features to maximize viral spread of client campaigns across a diverse array of web and social media platforms. Founder, George DeCarlo, has not only built a successful local tech enterprise with a global reach, but has been an instrumental driver of the region’s growing entrepreneurial ecosystem. A founder, mentor, and investor, George and Woobox were founding business partners of the Vancouver-Camas Innovation Partnership Zone and actively work to support the growth of success of our homegrown startup companies. In his free time, George doubles as an active member of the Oregon Angel Fund’s Seed Squad working with local startups on their early-stage funding needs. We are excited to be partnering with the 50th annual Pacific Northwest Regional Economic Conference to bring you esteemed keynote speaker Gregory Daco, head of U.S. Macroeconomics with Oxford Economics! Join us to welcome Mr. Daco as he shares his forecast on trends to expect from both the U.S. and Canadian economies moving forward ("No Recession, but an Abundance of Risks"). Whether you are planning for future business or simply curious about what big picture economic trends may hold, you won't want to miss these insights! *Please note that tickets on this site are for admission to the May 12th luncheon only. For full PNREC registration information, please see conference website at www.pnrec.org. **Sponsorship opportunities are available for the luncheon. For more information, please contact Samantha Codi at scodi@credc.org or 360-567-3175. Gregory Daco is Head of US Macroeconomics at Oxford Economics. He is responsible for producing the US macroeconomic forecast using Oxford Economics proprietary Global Economic Model. Mr. Daco tracks and forecasts high-frequency indicators and oversees the production of US research pieces on consumer markets, housing, business investment, international trade, labor markets, inflation, and fiscal and monetary policy. He is also responsible for presenting the outlook to clients and liaising with the media. The Pacific Northwest Regional Economic Conference (PNREC), presented by Columbia Credit Union, is turning 50 and our conference theme ("Fifty Years of Economic Transformation") plays on that number, inviting us all to take a long look back at the amazing and sometimes wrenching economic transformations we've gone through, as well as look ahead to the next 50 years - are we ready? Conference panels will include such topics as transportation, energy issues, housing and real estate, minimum wage impacts, and natural resources issues. For full PNREC information, please see www.pnrec.org. The Vancouver Business Journal’s annual Business Growth Awards program recognizes start-ups, innovators and growing businesses in Southwest Washington. Join us in celebrating and encouraging business growth in our region. Featuring CREDC's GROW Clark County innovation showcase! CREDC's innovation showcase will feature INFLUX, Hiperware, and WSU Vancouver's T1VR! The Awards are open to businesses located in Clark, Cowlitz and Skamania counties.Fastest growing businesses are recognized in three categories: in business 1 to 5 years, 6 to 10 years and more than 10 years. Additionally, we recognize a start-up business and an innovator of the year. All entries are confidentially reviewed by a panel of experts including members of the Washington State University – Vancouver College of Business Faculty and Staff. Awards are based on fiscal year 2015. The finalists and winners are profiled in our annual Business Growth edition of the Vancouver Business Journal. Entries are available online by following the links on this page. A business may enter in more than one category except within the Fastest Growing category. The date the business actually started conducting business is used to determine the correct “Fastest Growing” category. Join us on Tuesday, February 9th at 5:00 p.m. for the first Grow Clark County series of 2016 hosted by Immersive Media! This local virtual reality innovator introduced the very first 360 degree full digital camera system in 2004 and has continued to pioneer the industry since that time. As Clark County continues to assert itself as a region for technology innovators, Immersive Media has been on the ground floor driving market disruption across the globe from right here in our backyard. Enjoy an evening of high energy networking over beverages and appetizers, followed by a presentation from Immersive Media on their entry into the virtual reality space. Discover how our community is well positioned to set the standard for this emerging industry! Immersive Media was the driving technology behind Google Street View and developed the world's first viewer for 360˚ content that worked over the web. Immersive went on to host the world's first streaming live concert, utilizing their imLive system, and created the first viewers for iOS and Android. Immersive has continued to provide revolutionary integration with innovative products like the Samsung GearVR and Oculus Rift, our groundbreaking campaigns for clients like Lexus, AMEX, Land Rover, The Black Eyed Peas, ABC News and others. CREDC investors and public partners: You're invited to our exclusive investor-only annual meeting on January 14th, 2016! Come join us at the Kiggins Theatre to enjoy an interactive evening highlighting some of our most exciting activities from 2015 and a preview of our initiatives for the year ahead. Open only to our investors and partners, this event is a great opportunity to network with other key players involved in the organization, thank our outgoing board members and elect the incoming 2016 CREDC Board of Directors. Please use your custom code sent to you via email when prompted on the registration page to access tickets. Additional tckets are $15 and include appetizers and beverages. Questions? Please email Samantha Codi at scodi@credc.org. Schwabe, Williamson & Wyatt presents a joint WSUV Business Growth MAP Alliance/CREDC Grow Clark County event in celebration of Global Entrepreneurship Week 2015. Join Clark County business and community and leaders for an interactive evening with one of the region's premier companies. Hear Tim Boyle share how a culture of innovation has sustained Columbia Sportswear's path to success from humble roots as a small, local, family-owned hat distributorship, to one of the world's most recognized apparel and outdoor brands. Join us October 22nd for our Q4 luncheon, The Power of Private-Public Partnerships (P3), presented by the Port of Vancouver. We will be joined by a panel of our partners from the Ports of Camas-Washougal, Ridgefield, and Vancouver to explore some of the exciting opportunities and challenges for P3 projects in our community. Keynote Chris White from Kiewit will share his expertise working on alternative procurement projects, addressing specific challenges and highlighting a successful P3 project case study. Chris White is Regional General Counsel with Kiewit Corporation, where he is responsible for all legal matters on the West Coast related to Kiewit's Infrastructure business. Chris has been with Kiewit for over 10 years and has been involved in excess of 20 P3 projects across both the United States and Canada, including the $600M Sea to Sky Highway from Vancouver to Whistler in British Columbia and the $2.6B Port Mann Highway 1 Project, also in Vancouver, BC. Prior to joining Kiewit, Chris worked for a boutique construction and insurance defense firm in Vancouver, BC, and before that for a full service mid-size firm in Australia. Chris hails from Australia and was admitted to the Supreme Court of Queensland and the High Court of Australia. He is currently admitted to the Bars of British Columbia and Washington State,where he currently resides with his wife and two children. Thursday, October 22nd, 11:30 a.m. - 1:00 p.m.
September's Grow Clark County will bring attendees and the Internet of Things (IoT) together for a look into how the marriage of software and hardware can produce unlikely outcomes that can rapidly disrupt and redefine established industry norms. Focused on device-to-device interactions, IoT is built upon cloud and mobile computing coupled with networks dedicated to gathering and processing data to streamline everything from home to industrial workplace automation. At the epicenter of where baking, mixology, technology, and hardware collide, Vancouver's own Perfect Company is at the forefront of the IoT movement in the home. Join us as they open the doors to their brand new test kitchen and share their experience being a small startup that's quickly growing into an IoT powerhouse. Just $5 to attend but capacity is limited.